As car transportation is presently one of the major contributors to the net worldwide CO2 emission, hence a significant part of the problem of global warming, the Renault-Nissan Alliance considers it must be part of solution. Fully electric vehicles (EV) is the only true rupture which can eventually result in a true zero CO2 emission from well to wheel with carbon-free electricity either from renewable or nuclear sources. The technology of Li-ion batteries is now mature enough to provide more than twice the autonomy available 20 years ago, and the EV and battery cost reduction roadmap combined with temporary government incentives allows to propose a total cost of ownership smaller for an EV than for a conventional thermal engine car. From these considerations the Alliance has engaged a drastic move towards mass market of EV’s with five Renault and Nissan cars commercialized from 2010 to 2012, and more than 50 public-private partnerships to promote the deployment of a recharging infrastructure. R&D is addressing several challenges and new horizons : further progress in battery specific energy, robustness versus temperature variation and fast charging, electronic active balancing and control; fast charging and wireless charging as new options in addition to conventional slow charge, or battery exchange; new concept of efficient and low cost electric motors; reduction of on-board electric consumers especially in heating and air conditioning; original zero emission range extender; and a convenient set of communication and energy services in relation with public and domestic infrastructures in a vehicle-to-ome or vehicle–to-grid approach. Jérôme Perrin is engineer from the Ecole Polytechnique, Paris, and doctor in physics from the University of Paris – Denis Diderot (1983). Until 1996 he has been researcher in the CNRS (French Scientific National Research Center) in the fields of plasma physics and chemistry, and plasma-materials interactions. In 1997 he joined the Balzers & Leybold group - which eventually became Oerlikon - as director for the development of plasma-assisted deposition and etching industrial equipment for flat panel display and solar panel manufacturing. In 2001 he became R&D program director in the industrial gas company Air Liquide for gas analysis, gas-surface chemistry, and new energy technologies. During this period he has chaired the French national R&D on hydrogen and fuel cells of the ANR (National Research Agency). Then in 2007 he joined Renault as director of R&D and advanced engineering projects for the reduction of vehicle energy consumption, CO2 and pollutants emissions and global environmental impact; towards future electric mobility. He is also in charge of the relationship with Nissan on these subjects. 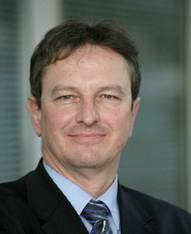 Since 2009 he is chairing the steering committee of the French national R&D program on ground transport vehicles of the ANR.